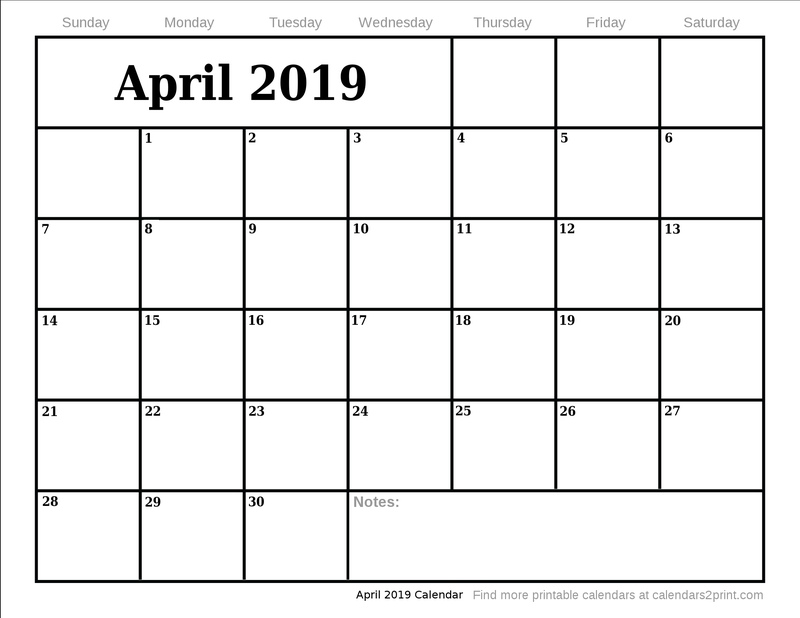 There are 2 ways to print out the Apr 2019 calendar on this page. Either right click on the calendar image and select "Save image" to download it to your computer and print from there. Or you can simply click on the image of the calendar and print it directly from your browser. Calendars2print.com provides free printable monthly calendars. Download your April 2019 Printable Calendar here.